Biltong is nearly 20% more expensive than two years ago – but it seems that the price of chocolate has dropped. If you are a biltong lover, it's important to note that you are forking out almost 20% more for this proudly South African snack than in 2017. READ ALSO: The Scenic Drive with Rian and Spar lowered the price of lamb chops for 1 day ONLY! 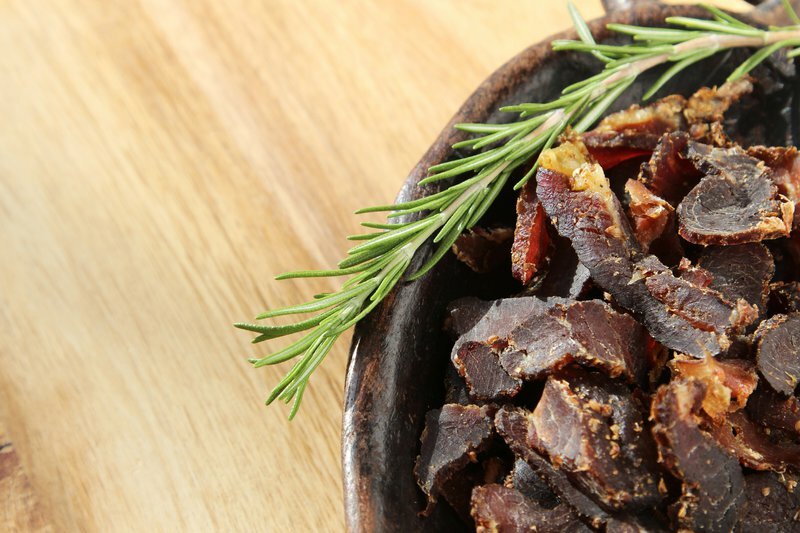 The average annual inflation rate of Biltong is far greater than that of any of the other snacks, this is according to the South African Market Insights. They compared the year on year inflation rate of various snacks in South Africa over a specific period of time, based on data received from Statistics South Africa's Consumer Price Index (CPI). The only other snack coming close to the inflation rate of Biltong is potatoe chips. The inflation rate of savoury biscuits and chocolate slabs are far lower. Biltong is 19.5% more expensive at the end of 2018 than what it was in January 2017. While chips is 12.2% more expensive than what it was in January 2017. 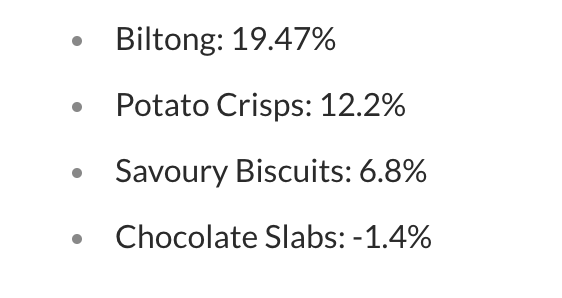 Inflation rate on snacks / South African Market Insights.